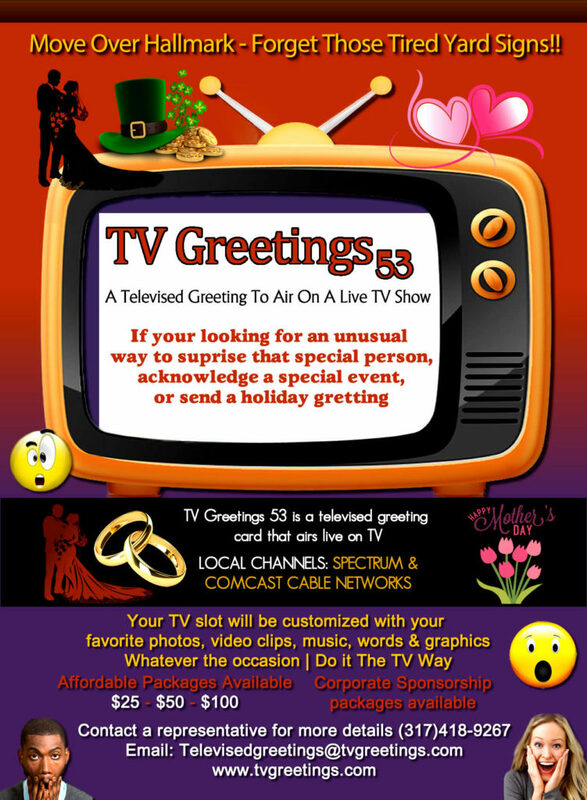 Tv Greeting 53 Televised Greeting Card Television Show and the EBiz Card Live App – Redemption Outreach Service Inc. This benefits Redemption Outreach Services Inc ROSI.. All Corp Sponsorship Package are 100% tax deductible and go towards funding the mission of ROSI.Org a 501c3 charitable organization.. contact 317-986-7714 for more information. ← First UMEG Music, Film & Media Technology Class! !